Long time lurker first time poster. I have searched but cant find what I’m looking for. I own a 2001 4dr LT. I need new tires. My wheels are pitted. Would like black steel wheels like the pro comps. My problem Is the pro comps are 4.5 backspace and 8”. I believe with this tire size I still need 7” wheels. With 4.5 backspace Im worried about the tires sticking out. So if someone could post some photos or just tell me what wheels to get I would appreciate it. I am not doing a lift but through reading on here it says you can run 30” tires without rubbing. Was planning on running these. My buddy has them on a Colorado and they have held up pretty well for the price. Last edited by Dirtjumperrob; 03-19-2019 at 12:27 AM. First question I must address is the 30” no lift. Your truck is 2001, you might find out after this many years the suspension is sagging a bit (high probability) and 30’s will not clear. I’d confirm ride height first, DIY section has an article about the way to measure and numbers your looking for. The DIY forum article on tire size states a tweak of the torsion bars may be required (4 wheel drive trucks only) and at full crank turning may make contact frame, sway bar or what not. If your truck is 4 wheel drive and your bars have sagged a bit going to take a little extra along with the new aligment. I’d confirm this ride height front/rear before the next step. Two wheel drive versions do not have the option to adjust like this. I have the pro comp rims, 15x8, with 4.5" backspacing. I'm running 10.50" tires on them. While it definitely moves the tire out, personally I don't think it's too much. They stick out maybe an inch or two from the feder. Last edited by DonL; 03-19-2019 at 07:09 AM. Truckntigger. I had not really read that. Thanks for the heads up. I really wanted to run 30” tires. Still want the steel wheels. What size tires would you recommend? As DonL mentioned and several others, 30’s may fit. Depends on your Blazer and suspension, assuming your 4 wheel drive and suspension in decent shape a tweak of the torsion bar would be probably be required and alignment a must. Not recommended for several reasons mostly due to the increased height means higher angles on drive train (CVC joints wear faster) and more strain/wear on ball joints for steering. This said many do it and just keep up on maintenance because they want the bigger tire. In the end it’s your Blazer, your money. Pretty much all the s10 series can run 29” tire. You might find this handy- https://www.tacomaworld.com/tirecalc...5r15-30-9.5r15 This shows comparison of tire sizes- in this case I was looking at 30/9.5r15 vs my current 235/75r15 (30”vs my 29”) Like you I was thinking just go up a inch more. Decided against for several reasons- cost of tire, need to raise up just a little which increased maintenance cost even the calibration of speedometer needing correction so kept the 29”s. Figured if I was going to do that it’s a waste and do it right and go at least 31’s at 10” wide or not at all. If you really want steel rims that’s not hard. You can even go 16” rims. 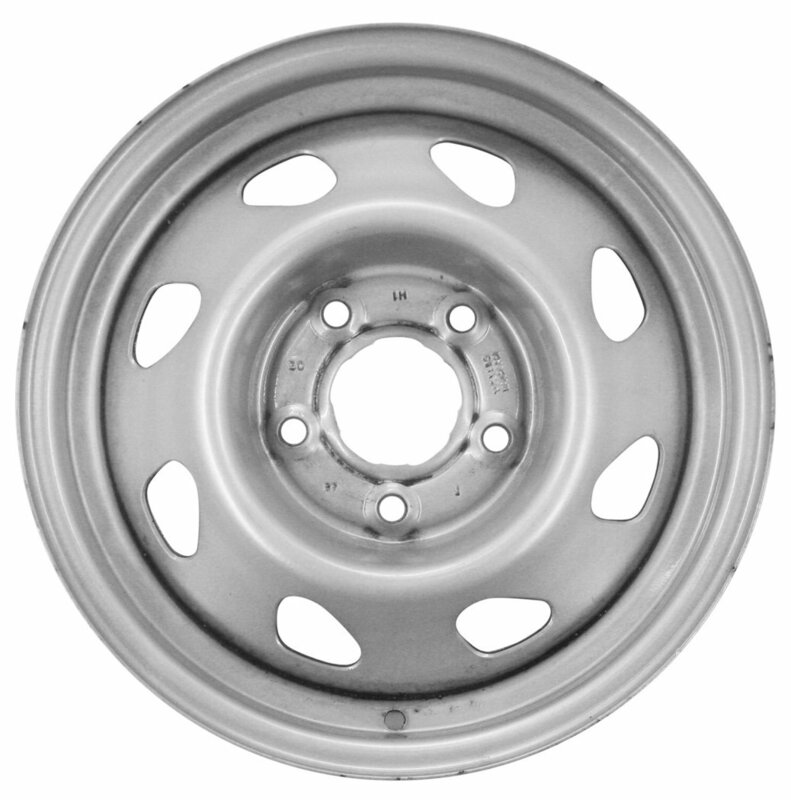 Just keep the stud size right- 5 (holes) on 4.75 (radius) and use that tire calculator and pick a size that is 29” and no more than 11” wide, recommended is 10” or less, stock is 9.25” wide and apx 6” backspacing. I refer to this article- https://blazerforum.com/forum/tech-a...n-i-fit-41671/ The article is quite detailed explaining the in and outs of tire sizes on a Blazer. Truckintigger. Thanks for the clarification on the 30” tires. Do you know what the biggest ones I can run are? I don’t want to wear parts out by turning up the torsion bar keys. I still want black steel wheels. If the 8” wheels with 10.5” tires stick out 2.5” then 7” wheels with .25 less backspace should stick out less. Do you have hub centric shims? I am unsure of what your goal is. If you want slightly bigger that should fit beyond the specs of the blazers 235/75r15 without modifications I would think a 255/70r15 would work- the comparison would be 28.88 h/ 9.25 w on 15” stock rim to new at 29.06 h/ 10.04 w on same stock rim (so slightly taller and wider). Any other modifications like different offset or using spacers is something I have not looked into for several reasons but mostly because handling and legal issue of fender required to cover “x” percentage of tire which varies by state. NEW Black Steel Wheels.. pics!